It is a confidence thing. We are so very, very close to seeing and experiencing another colossal collapse in confidence in the world’s financial system. This time it is driven by the ‘US Debt Ceiling impasse’. 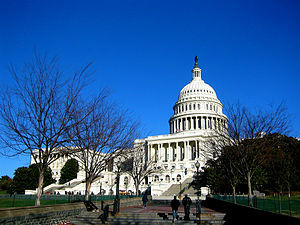 A steady flight to gold has been taking place over the past few months and even though most informed commentators believe the US Treasury ‘default scenario’ is not likely to physically occur, the mere threat of a default has not yet managed to ‘focus the minds’ of the US congress house of representatives locked in an ideological battle over fundamental economic policy and direction. At stake here is a scenario that will make the 2008 financial crisis wane into insignificance, should the threat of a US Treasuries default actually play out. Yet, very few mainstream headlines outside of the United States have been published about this potential catastrophic event. And we are only a few days away from the edge of disaster (Default D-Day is chalked up for Tuesday 2 August 2011) and the Washington Post has a default clock ticking down on this deadline web site. If a default actually occurs, confidence in the international capital and currency markets will have been breached and no serious commentator has yet fully quantified or effectively mapped out the potential consequences of this potentially disastrous collapse in capital market confidence. The only significant contribution we can make at this publication is to cross our fingers, hold as much in cash and liquid (non US dollar) assets and hope that some real focus and a meeting of minds occurs before Tuesday 2 August 2011 on Capitol Hill.